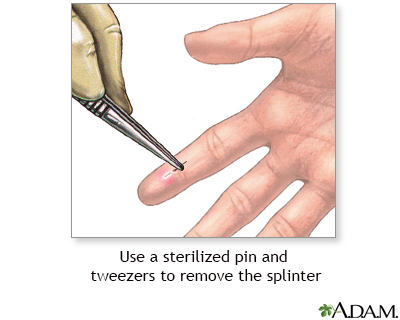 A splinter can be removed by first using a pin to break the skin over the splinter area. Next use tweezers to grab hold of the splinter to gently pull it out. Wash the area with soap and water after removing the splinter.